Susan Gehr is taking part in the Mother Language Meme Challenge creating memes in her family language of Karuk. In a small town called Blue Lake, located in Wiyot Territory in California in the United States, Susan is a student, teacher, and part-time reference librarian at College of the Redwoods, but also fills her time with two projects related to language and culture both funded by the National Science Foundation. The first project helps individuals working with linguistics at Tribal Colleges and universities build capacity in disciplinary knowledge and research skills. The second project is working to create an archive repository of Karuk materials allowing for greater accessibility and the ability to search. In an interview with Rising Voices, she shares a little more about her language and her participation in the #MemeML Challenge, where she has been sharing her memes on her Twitter account @vurayav and on Facebook. Susan Gehr (SG): My tribe, the Karuk Tribe, has over 3700 enrolled members and another 4200 enrolled descendants. Currently, I know of approximately six people who are first language speakers of Karuk. For California, where there are over one hundred different tribes, having six living fluent speakers of your language is considered very lucky. Fortunately, there are also dozens of intermediate speakers, and still more Karuks who are learning. Unfortunately, it’s a five hour drive between the most far-flung Karuk speech communities, so we really depend on the internet between face to face gatherings. Our language has an online dictionary and text corpus. The website is a collaboration between the Karuk Tribe and the University of California, Berkeley. William Bright and I co-published the dictionary and Berkeley’s Department of Linguistics created the website and continues to add to the content. Karuk also gets used on social media and there are videos available on YouTube and on the Internet Archive. SG: Because memes make me laugh! Also, I have a son, Logan, who sometimes describes himself as a Meme Lord and who used to say “I like turtles” every five minutes when the “I like turtles” video first went viral. 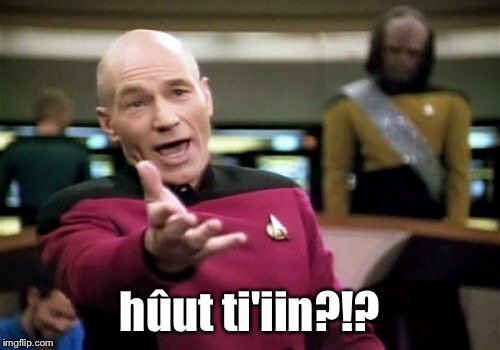 I figured that the Meme Challenge would be a terrific way to engage him in some Karuk language use. I have asked him to suggest my next meme and he always has ideas. Then he’ll ask me how I would say that in Karuk. It’s nice when he asks for the language himself. It sticks with him better if I’m not just forcing it on him. 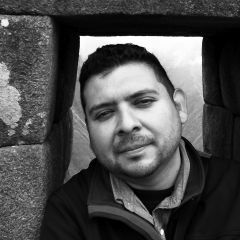 I have been reflecting on something I learned from Zalmai Zeke Zahir at the Breath of Life Workshop held by the Advocates for Indigenous California Language Survival. He recommended to us to find a language domain and always use the language in that domain, whether it is the kitchen, community events, hunting, or basket making. Well, I find myself on Facebook more often than I’d like, so I decided that Facebook would be my Karuk language domain. I started with this series of toy turtle photographs, posing the turtles, then describing what they’re thinking or doing in Karuk. The Meme Challenge is taking all my time at the moment, though I have done a few “I like turtles” memes. RV: Who would you like to “challenge” to create a meme in this language? SG: I would like to encourage my fellow Karuk language speakers and learners to create Karuk memes. And I would like to encourage all the California Natives who have participated in AICLS’ Breath of Life Workshops or Master Apprentice Programs to create memes in their languages.